This question got a lot of interesting responses on the Amish America Facebook page this weekend. Four years ago, I wrote about my top 5 Amish settlements. Is that post still valid? Since then, I’ve visited around 20 more communities. But I’d say yes–with maybe one or two changes. So what’s your favorite Amish community? For ‘bonus points’, tell us why! 31 responses to What’s your favorite Amish community? The one and only I’ve ever visited, because I live close to it: Evansville/Albany/Brodhead, WI. I use to be a member there. Soem great people there. If you don’t mind my asking, which community in Salem were you a part of? We’ve visited that area with some frequency – its also one of my favorites because of the natural beauty and the friendliness of the people in Washington County. For those who aren’t familiar, there are four Amish groups in Washington County – the Swiss Amish on the East side (which is growing), the New Order Amish on the West Side (off of Washington School Road, but in decline), and then some Schwartzentrubers (perhaps) around Pumpkin Center to the west of the New Order Group. There’s also another small Amish district up near the Mascatatuck River, and the Holdeman Mennonite Church over on Hardinsburg Livonia Road. Plain Lady and her family were part of the West Washington/Rosebud New Order. The Pumpkin Center/Bromer group is conservative Old Order. The Swartzentrubers are over by Orleans, Orangeville, & Mitchell. They are separate groups but are friendly towards each other as long as the Swartzentrubers don’t smoke. The Vallonia group, north of Salem, fell apart and is now complete gone, as are the Old Order buggy Mennonites who never had more than 4 families anyways(they were on Saltillo Rd between Livonia and Saltillo). The Holdermans are thriving. Hi, Just now getting around to letting you know that I was part of the New order group on West Washington Rd. The community went through a shake up several years ago but now everything has settled down and there are several families that have moved in and replaced some that have left. When I was there in March the church house was full and from all the sound of all the babies crying, I would say that the community is thriving. Thanks for letting me know. I wonder if I knew/know Plain Lady? We used to frequent the Rosebud store/restaurant when it was open, and almost bought a house in that area next the sawmill. A number of New Order families have moved – the area just isn’t the same as it once was since they left. We were last in the area in March and stopped by the Bulk Food Store on 56 and the salvage grocery in Rosebud. 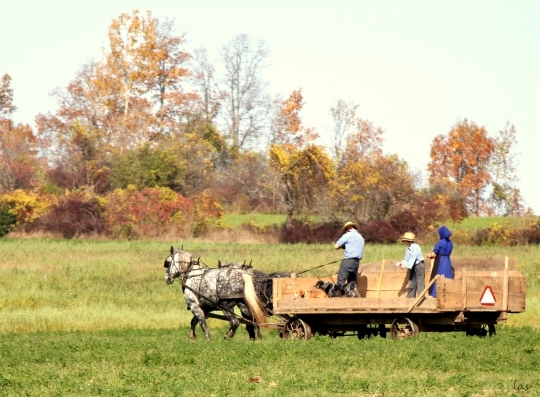 As for the Vallonia group, we had looked at a property there about a year ago, and there were still Amish working the fields over on Old Babe Road. Remnants, or are they gone now as well? Thanks for setting me straight on the group in Pumpkin Center :-). Yes, its great to have the plain churches arriving in Australia. There is now an Amish mennonite church in Queensland and an Anabaptist church in Tasmania. it is wonderful to have them here. Wow, Julie, that is news to me. Nice to hear that. Out of curiosity, how Plain are they? As far as I know, The Australian Amish Mennonite church come under the Beachy Amish banner. So the men and women dress plain with coverings, but they drive cars and have electricity. I know the Minister and his wife, and they are just wonderful people, and doing a great job here in oz. You can check them out for yourself if you like. Just google Australian Christian brotherhood. Hello Julie, we know them aswell, we go to the church. The group in Tasmania is probably Rocky Cape Christian Community (google it). It is a mission outreach from Elmendorf Community in Minnesota. I have heard of a couple of communal Anabaptist groups in Australia and New Zealand. Rocky Cape was one but there was another – not Hutterite, in fact from what I was reading none of them come from plain backgrounds at all. They live much like the Hutterites do here but are more focused on evangelism. I wish I could remember the name so I could find the website again. It was very interesting. where are the amish chuches in qld? i live in the fremont, michigan area, and i was wondering if the amish in this area are old order or somthing else. could someone please tell me if they know? i’ve wanted to know for some time, but thought it would be rude to ask one of my amish friends. oh yeah, fremont, michigan is my favorite amish community. what's your favorite Amish comunity? As I live in Ontario, Canada my favourite community is Millbank area north of Kitchener/Waterloo area west of Toronto. I love the fact that there are tourists but not too many. I introduced my wife to some of my friends this spring. We have horses so we do business with some of the people up there and also buy some other products as well. It is a thriving community with tons of things to see and do including the Amish school sale held in July after the 1st cut of hay is off and the cereal crops are still growing. The amish and old order Mennonites up here in Canada still allow you to come into their farms if your looking to do some agricutural business. As we buy gates,harness,leather,etc from them we get to see things others don’t usually get to see. They’re people just like us and we forget sometimes what it’s like to “gawked” at all the time. If you have ever caught someone staring at you, you know what I mean. If you ever get to Toronto make sure you take a trip to amish country North of Kitchener/Waterloo-you will not be disappointed. I live in Ontario as well, and wish to go up to the Milverton area, but don’t really know what roads/Amish stores/etc. to see. Any suggestions? Are the Amish clustered in a particular area? Are there stores/shops run by Amish I could go to? Planning a trip up there this summer, and any suggestions would be helpful. Marion KY! I grew up there as a young boy, and became a member when I was 18.Many fond memories. David, sounds very nice. Just drop me an email at ewesner@gmail.com, we might be able to feature them in an upcoming post. I live about 1/2 an hour from the Kenton, Larue, OHIO area Amish. I love visiting the little bake shops they have scattered through out the area. I believe they are Old Order Amish. I found the most delicious Apple Cream pie that Ida Bontrager (on route 265) makes. And the Mast Kitchen on route 190 also had a host of baked goods for sale. communities who have beautiful farms. While we don’t get to know the Amish well we do get to talk with them as we purchase items from them. We have many Amish communities in New York State but they are more isolated and their is less interaction. WE travel each year to Amish country whee the pace of life help put things into perspective. The Amish family is strong and a good example and the modern age with all its problems has not the great damage it is doing to our society. They practice what they believe. Leave a reply to What’s your favorite Amish community?